A girl can never have too many earrings. We've been busy selecting the perfect styles to ensure your look is covered for every occasion. From wow-worthy statement pieces to simple yet chic studs, find everything you need for 24/7 style. Hoops are a big deal for 2018. Your jewellery box isn’t complete without a pair. 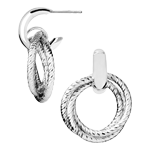 We have hoop earrings in all shapes and sizes, perfect for every occasion. 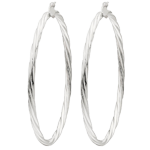 Make a strong statement of style with these striking silver twist hoop earrings and stand out from every crowd. 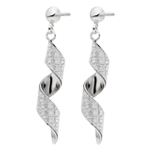 These earrings are designed in silver and glisten with a twisted design, filled with cubic zirconia for stunning sparkle. 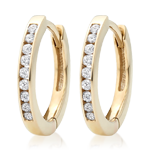 Chic and contemporary, these 9ct gold crystal hoop earrings will express your unique style perfectly. 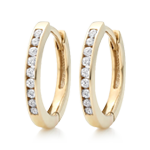 Fuse fashion with luxury and glamour with these gorgeous 9ct gold diamond hoop earrings. For those days when you just want a subtle touch of glamour, these pretty studs are the perfect choice for everyday style. 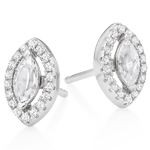 Sparkle with vintage-inspired style with these stunning silver cubic zirconia marquise halo earrings. 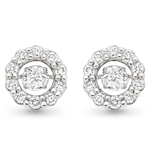 Treat your jewellery box to these must-have 9ct white gold earrings for none stop style and glamour. 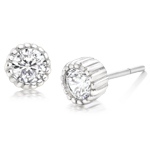 Simply stunning, these 9ct gold cubic zirconia stud earrings will add the perfect touch of everyday sparkle to your look. 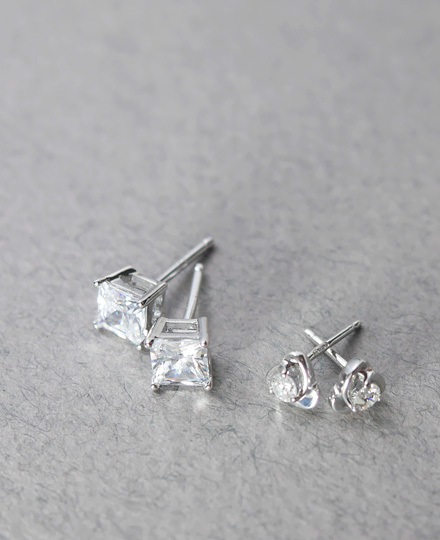 Because every outfit deserves a dazzling finish, these silver cubic zirconia stud earrings are a must for every jewellery collection. 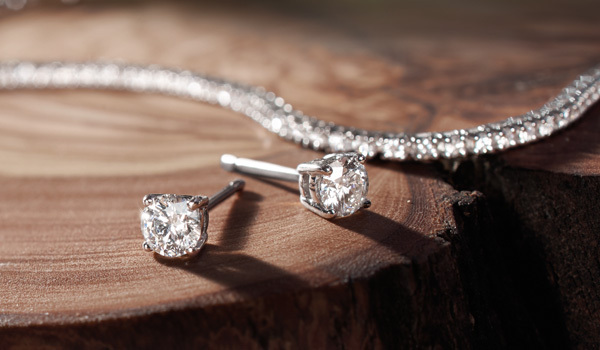 Every girl deserves diamonds. 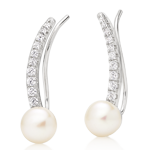 These dazzling earrings will ensure you sparkle with maximum luxury and elegance. 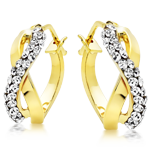 Dazzle with timeless glamour with these 9ct gold diamond hoop earrings. 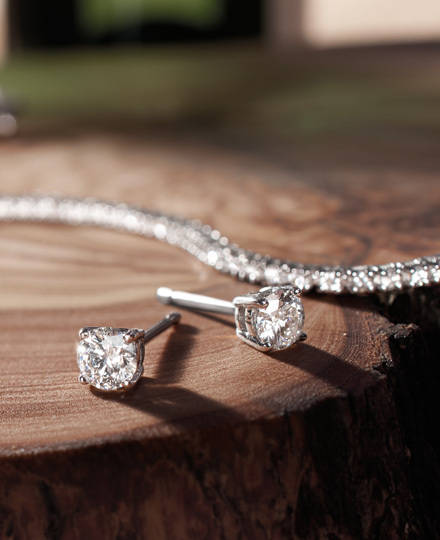 The row of diamonds sparkle in a beautiful channel setting. 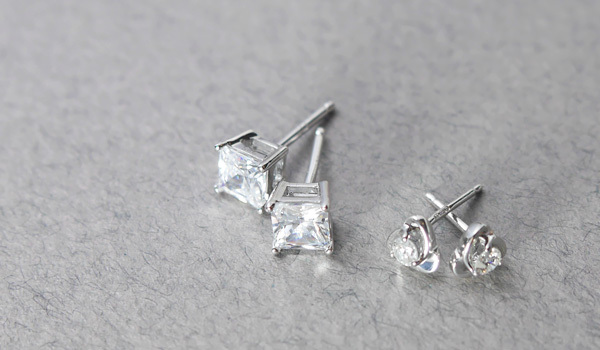 Simply stunning, these diamond stud earrings will ensure you dazzle at every moment. 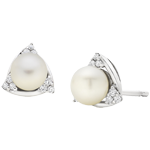 Add glamour and elegance to your look with these beautiful 9ct white gold diamond fresh water cultured pearl stud earrings. 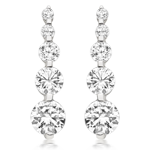 A new and exclusive design, these gorgeous earrings hold a central diamond that dances and flutters as you move. 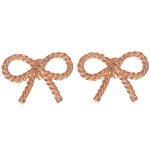 Make the ultimate fashion statement with these must-have earrings and showcase a catwalk-worthy look. 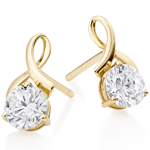 Get an iconic look with these fun and feminine Michael Kors earrings. Perfect for every occasion. 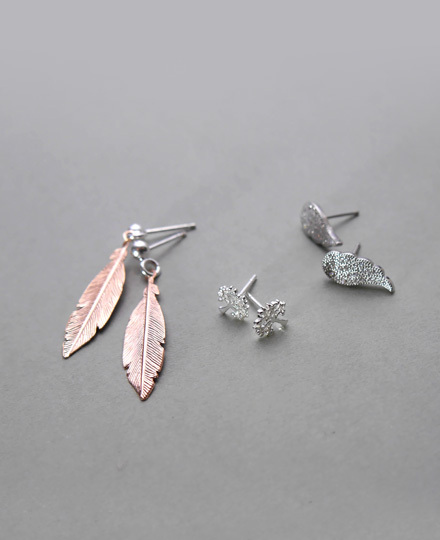 Pretty and playful, these Olivia Burton silver rose gold plated bow earrings showcase a chic vintage style. 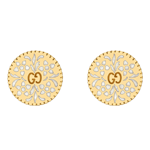 Chic and luxurious, these Gucci Icon 18ct gold stud earrings will add a glamorous, yet bohemian feel to your look. 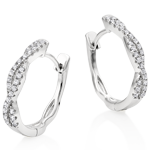 Ultra-fashionable, these Links of London earrings have a sparkle cut finish to create a dazzling effect. Get ready to wow with these show stopping earrings. 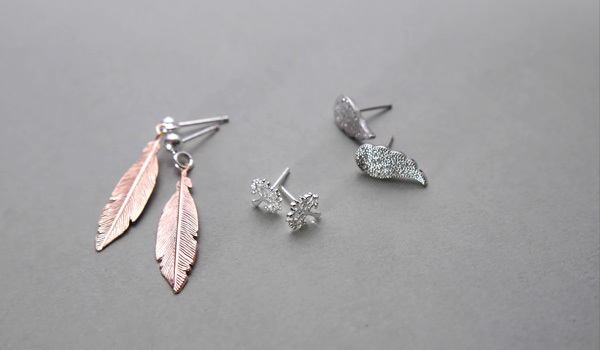 Certain to see you take centre stage, these pieces will accessorise your favourite party dresses perfectly. 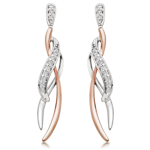 These beautiful earrings are designed with a modern mix of 9ct white and rose gold, enhanced by glittering diamonds. 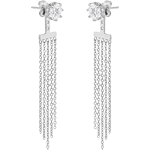 Take on a look of modern glamour with these stunning silver chandelier drop earrings. 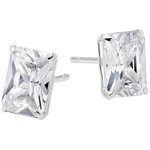 Enhance your look day and night with these glamorous and fashion-forward climber earrings. 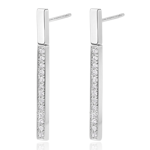 Sleek and luxurious, these earrings are designed in 9ct white gold and showcase a glamorous drop bar design, filled with diamonds. Let your style do the talking with these pretty motif earrings. 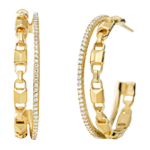 These must-haves are sure to add character and a fashionable edge to your look from day to night. 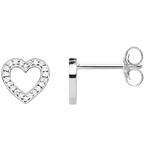 Fashionable and romantic, these gorgeous earrings will add a heart-felt touch to your look. 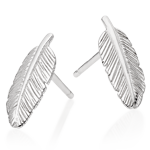 Designed in silver, these lovely earrings showcase an intricate feather with engraved detailing. 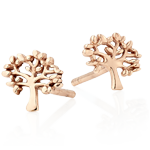 These silver rose gold plated tree stud earrings are perfect for adding a natural beauty to your look. 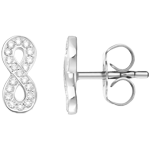 Displaying a pretty infinity symbol, these must-haves are enhanced by the dazzling cubic zirconia embellishment. Here comes the bride and here comes sparkle. 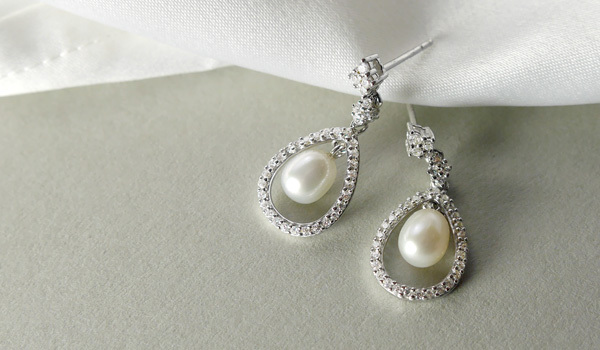 Complete your dream wedding dress with a dazzling pair of earrings that you'll treasure forever. 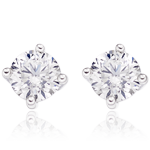 The missing piece to all of your evening dresses, these gorgeous earrings will ensure you steal the spotlight. 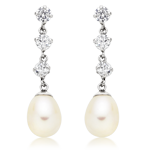 Beautiful and elegant, these earrings will add the most stunning finishing touch to your wedding dress. 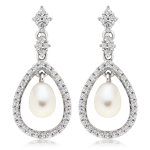 Inspired by vintage design, these gorgeous silver cubic zirconia fresh water pearl drop earrings are the epitome of luxury. 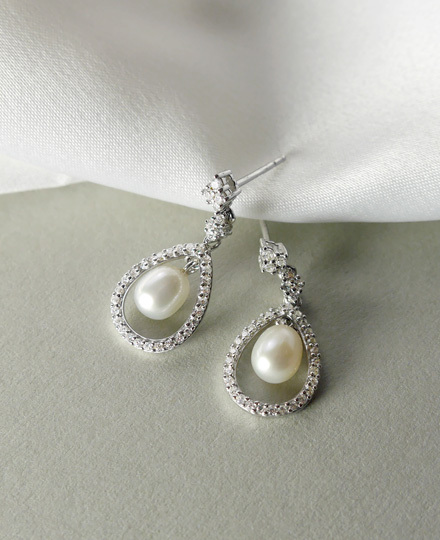 Make an impression of pure glamour on your special day with these breathtaking earrings.